Starting an ecommerce store on Facebook is an excellent way to break into the online business without all the trouble of buying a domain, designing a website and maintaining it. It also provides you easy access to millions of potential customers, which is excellent for entrepreneurs, and an added benefit over Magento vs Woocommerce. If you are an entrepreneur interested in opening a Facebook ecommerce store, keep reading below to find out how to do it. If you already have a Facebook business page, you are going to need to add the shop feature to it. Navigate over to your page settings, and click edit page. Select the “Add a Tab” option, then select “Shop”. 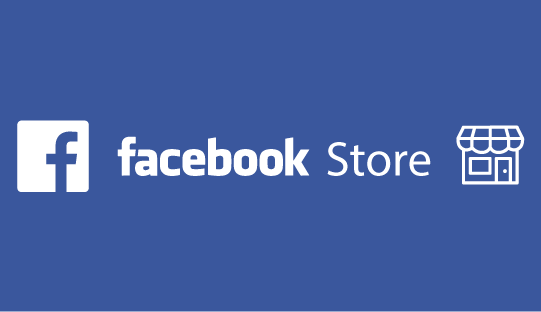 This will enable the features for your Facebook store. The next step for you to complete is going to be agreeing to Facebook’s merchant terms and policies. Make sure you read through these thoroughly, because there may be some information contained within that can affect how you choose to do business, like industrial buying practices. You may also have to re-enter your password to confirm your identity. Once you agree to terms, you can move on to the next step. Next, you are going to have to select an option for how you will receive customer service inquiries. You will be prompted to enter your business information, like your business email and address. If you want to receive customer service emails to this same business email address, you do not have to do anything else. However, if you have an alternative email address you want to use for customer services responsibilities, make sure to uncheck the “Use this email address for customer service inquires” box. Then, you are ready to take the next step. Your next task is to choose how your store will accept payments for all those former Ebay top selling products you wind up selling. You can elect to connect with either PayPal or Stripe. If you choose PayPal, choose “Connect with PayPal,” and sign up for an account or log in with an existing one. If you choose Stripe, select the “Connect to an existing Stripe account” hyperlink if you have an account. If not, click “Submit,” and you will receive an email with steps to sign up for Stripe. Finally, you will be able to add products to your Facebook ecommerce store. Click the “Shop” tab on your business Facebook page. Next, you will see a box that prompts you to add a product. You will have to add photos, name the product, set a price and enter in a description about the product. You can also add product variants if they apply, such as color or size options. Then, you can enter in the amount of product inventory, the product category and shipping options for the product, including the price for shipping. Click save, and you have successfully added the first product to your new Facebook shop! Entrepreneurs will be amazed at how easy it is to start an online store with Facebook’s new ecommerce features for business pages. If you want to open a Facebook ecommerce store, follow the steps listed above to simplify the process even further. Then, you can learn more about how to optimize your Facebook store and make continual improvements to reach more customers and increase your sales volume. Good luck! I already have a web site store. How do I connect it through Facebook? You have to set up a Facebook shop. Then you can link back to your actual eCommerce website. Hope this is helpful.